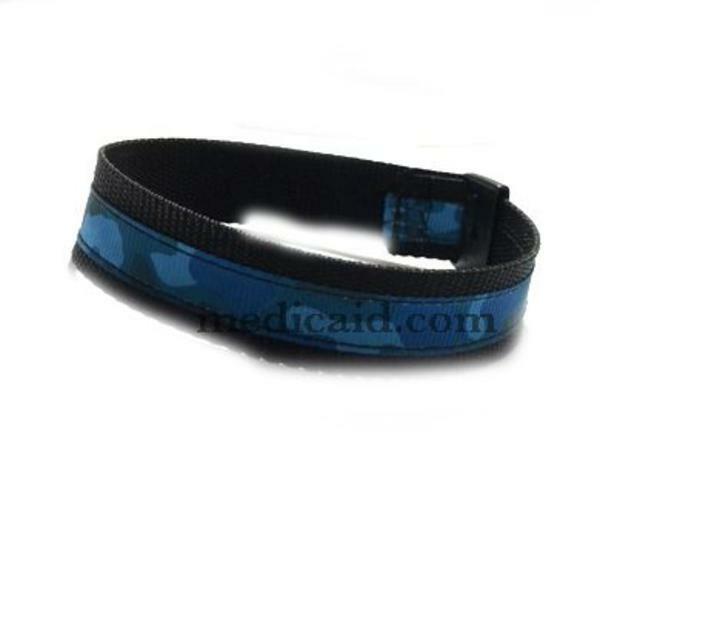 This cool blue camo VNS medical id sports band for your VNS Magnets. Medical Id Alert VNS Bands Our medical sports bands for VNS magnets are a great way to add a little fun and flare to your VNS magnets. The sports bands are 3/4" wide and are adjustable up to 8 inches! Please make sure this band will fit your magnet. Perfect band for boys, girls, women and men!